Pina Colada Ice Cream. This is the best healthy cocktail-inspired ice cream ever. With the flavors of coconut, pineapple, and a hint of rum you will be dreaming of lounging in front of the Caribbean blue. 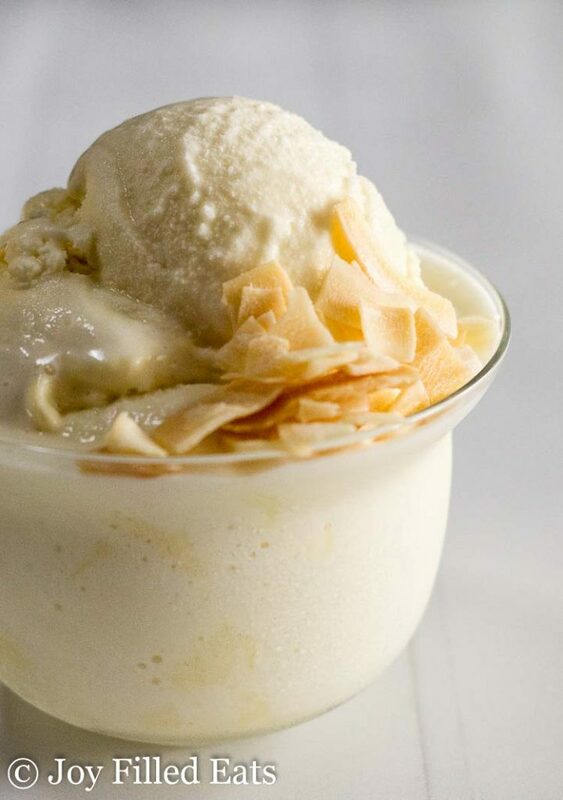 My pina colada ice cream has all the classic flavors but only a fraction of the carbs. I used pineapple and coconut extracts in this along with my favorite ice cream combination of heavy cream and almond milk. This makes a perfectly rich and creamy low carb frozen treat with the essence of both pineapple and coconut. Pina Coladas are one of my favorite frozen beverages but most of the time they are loaded with sugar. When you combine sugary cream of coconut with pineapple juice that is an insulin spike waiting to happen. As long as your ice cream maker bowl is frozen you can enjoy this in under 30 minutes. Right after churning it is like soft serve. For a firmer ice cream pop it in the freezer for a few hours first. I usually use glycerin in my ice creams to keep them scoopable right from the freezer. 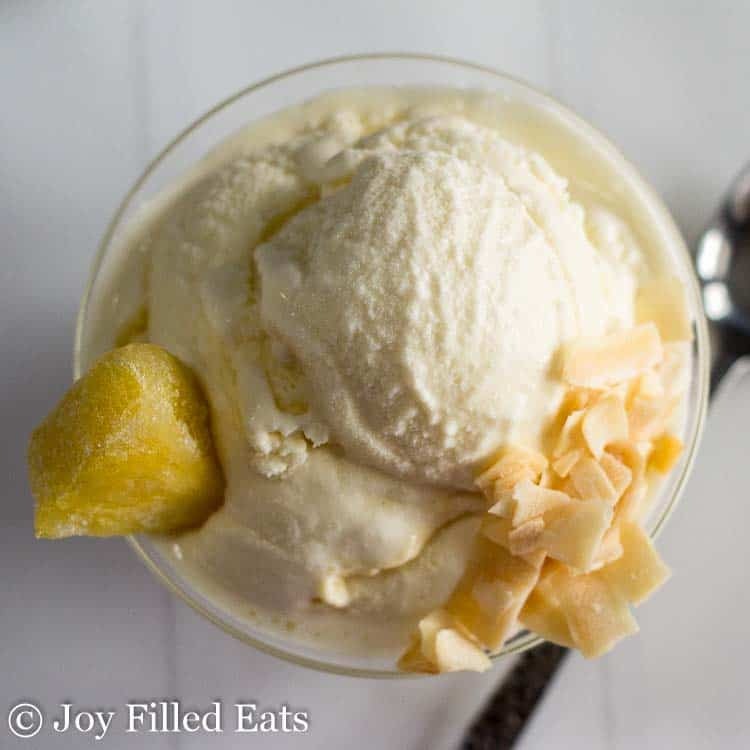 In this pina colada ice cream recipe, I chose to use a little rum instead for a traditional flavor. Once my best friend and I tried putting a splash of Kahlua into homemade fudge. Way too much Kahlua for the fudge to set. It gave our fudge a nice flavor but also made it way too soft to set. When I decided to put a hint of rum in this ice cream I only used one tablespoon for the whole batch. That works out to be less than 1/2 tsp per serving. Just enough to give it flavor without making it alcoholic. 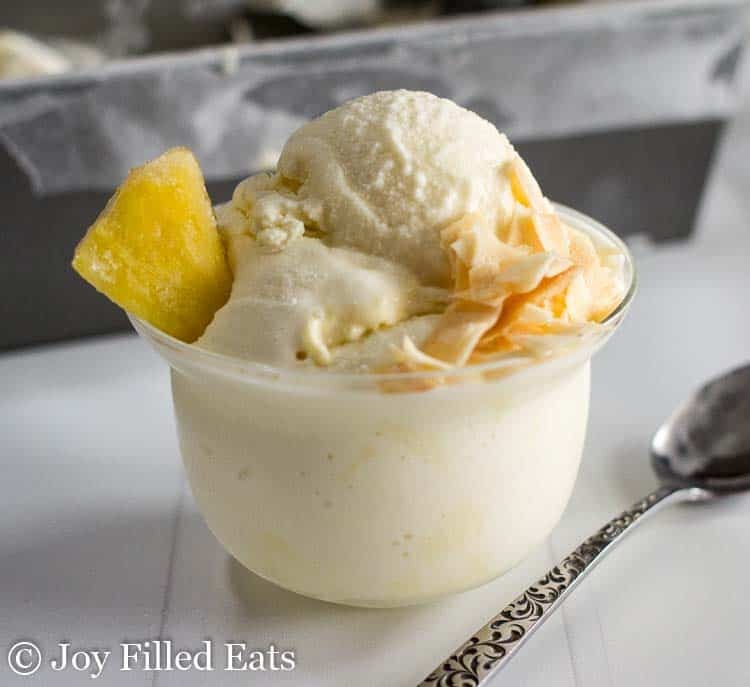 If you would like to omit the rum in this easy pina colada ice cream you can add 2 tsp of glycerin and 1/2 tsp of rum extract. This is the best healthy cocktail-inspired ice cream ever. With the flavors of coconut, pineapple, and a hint of rum you will be dreaming of lounging in front of the Caribbean blue. Put all the ingredients in a blender. Blend until smooth. 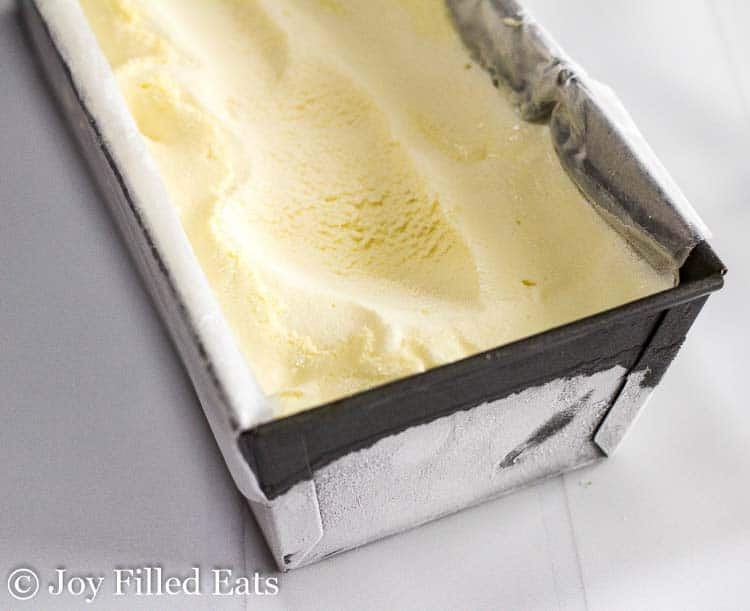 Pour into an ice cream machine and freeze according to the manufacturer’s instructions. 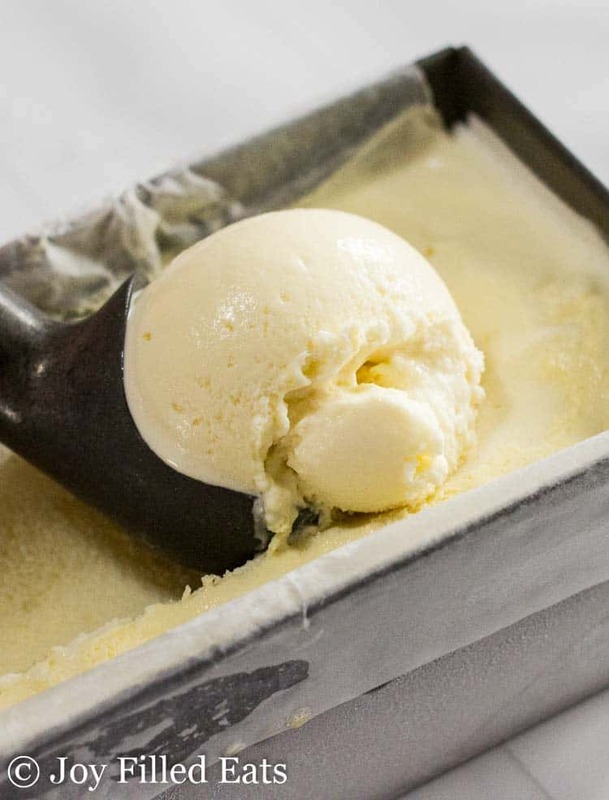 If you are concerned about using raw egg yolks you can purchase pasteurized eggs or you can temper the ice cream base. The glycerin helps the ice cream to stay scoopable in the freezer. If you don’t mind letting the ice cream sit out at room temperature for about half an hour before scooping you can omit the glycerin. What a perfect way to cool off. Thanks for sharing. Thank you for a recipe I don't NEED an ice cream maker for. I don't have one! 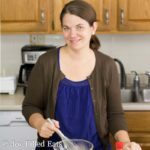 What Ice Cream Maker do you use? I have a counter top Cuisinart 1.5 quart maker. I think it is too small for this recipe. It sounds really delicious. I have the same one and it worked! It bubbled up against the top a little but didn't overflow.